Some artists have all the luck. Others can’t catch a break. Almost immediately after signing their first recording contract with Polygram, the executives who signed the band left the company. This is the music business equivalent of being stranded on a raft in the middle of the ocean with nothing but a bottle of Evian and a handful of Saltines. The Call had no relationship with anyone else at the label, and they were left to drift, with little attention or promotion. Despite critical acclaim—and guest appearances on their songs from Bono, members of The Band, and Peter Gabriel (who spoke of them as “the future of American music”)—The Call struggled to sell albums. 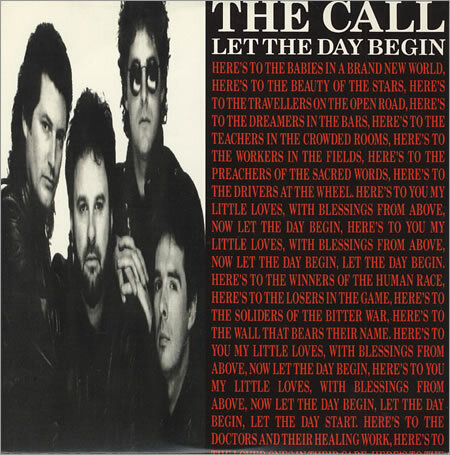 In 1989, The Call recorded their new album, Let The Day Begin, which took them into more commercial territory. Elektra disliked it so much they told the band to scrap the whole thing and start over. (So much for the raft.) The band refused and took the record over to MCA. The title track started to receive airplay and, although it didn’t quite reach the Top 40, became their highest charting hit in both the US and the UK. Unfortunately, MCA switched manufacturing plants at the very moment the song took off, meaning they had no records to send to stores for over a month. (Oh look, sharks.) The album stalled, and The Call never came close to having that kind of success again. “Let The Day Begin” was later used as Al Gore’s campaign song during his first presidential bid, and for 10 years in Santa Barbara, California it greeted you at dawn as the theme song for radio station KTYD’s morning show. That’s bassist and lead vocalist Michael Been in the video. 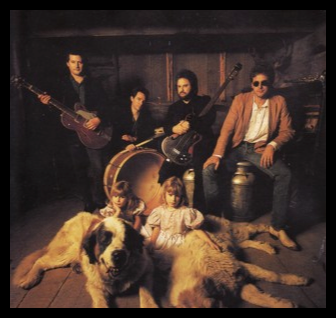 His son Robert cofounded Black Rebel Motorcycle Club, who covered “Let The Day Begin” earlier this year.